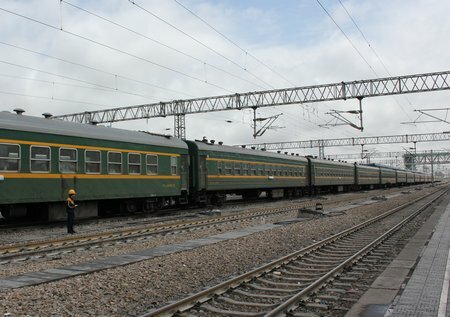 We took another train (well, two actually) on our quest to get from Xiahe onto the Silk Road proper. We spent a brief night in Zhangye – where Marco Polo lounged for a year – and met one lone other Western traveler braving the vagaries of the Chinese train system on the platform. He left us to our own devices on the train – possibly because my children scared him. Well, actually, on Chinese trains – even those which, like the one above, are “small” and “slow”, trundling between minor cities in the West – all seats are assigned so our new friend from Texas was able to escape to his cushy first-class seat while we squished in with the natives in lowly hard-seat second class. We re-united in Jiayuguan and braved some of the most aggressive train station taxi drivers to secure a ride to our budget hotel. Don, the Texan, is retired. This was his third visit to China. The kids got a huge kick out of meeting another American – since we’ve met so few. Unfortunately, within a day it was pretty clear that our pace (speed=wear-out-teenage-boy) was a little too much for him. We did, however, get to visit the stunning Jiayuguan Fort together. 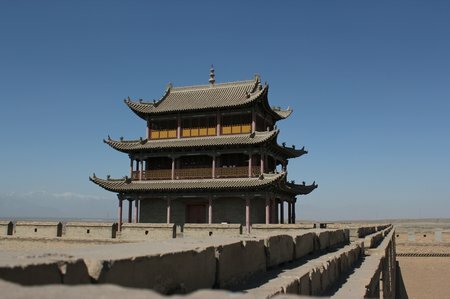 The original Jiayuguan Fort was built in the Ming dynasty around 1372. It was fortified in advance of an expected attack by Tamerlane. It was an atmosphere place to really impress on our kids that the history of the Silk Road is one of great people, the interweaving of diverse cultures and a vast geographic scale. The (reconstructed) fort sits on the edge of Jiaguyuan city looking west into the gap between the snow-capped Qilin mountains and the Gobi desert. You can understand why it was once called “The First and Greatest Pass under Heaven”. 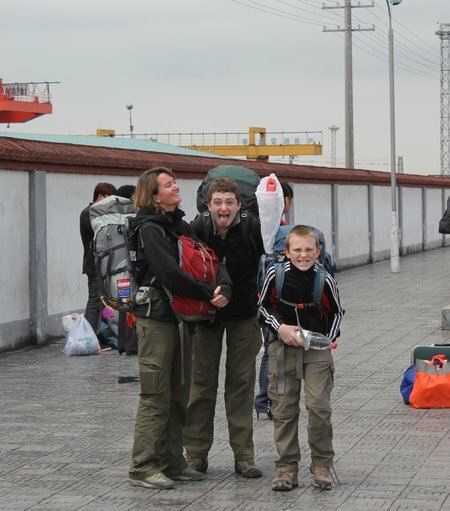 This entry was posted in China, International Escapades and tagged China, China With Kids, Jiayguan Fort, Jiayuguan, Silk Road on May 31, 2011 by wandermom.